Children’s Safety Australia, ‘Book Review: Rosy and Jack‘, Safe Start e-news, vol. 2, Summer 2008/09. Written and illustrated by Nicole Reading in consultation with the Northern Sexual Assault Service of Tasmania, Rosy and Jack is a valuable resource for children, particularly those aged from 7-12 years. Rosy and Jack are a brother and sister who have had bad things done to them. They were touched by someone in ways they didn’t like and were told to keep it a secret. With the assistance of engaging illustrations, Rosy and Jack explores the difficult subject of sexual abuse and what can be done to stop it in a frank, yet sensitive manner. It covers the issues of bad secrets, who to tell and what will happen. 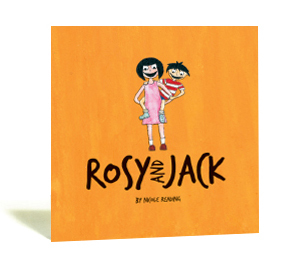 Rosy and Jack is highly recommended for children as both an awareness tool as well as to assist children who may be in a similar situation. It is also recommended for parents who will identify the importance of listening to, trusting and loving their children. Rosy and Jack is further recommended for anyone who works with children to invite conversations with children about staying safe and recovering from abuse. Judith Ridge, ‘The facts of life’, The Age, August 8, 2004. Bibliotherapy is popular with some adults as a way of helping children through difficult experiences. I have children’s literature friends in the US who were deeply troubled by a rush to find books to help children through the trauma of the September 11 attacks; my colleagues, many of them teachers and some of them clinical therapists, were very concerned that this approach may only enhance the trauma; almost like rubbing their faces in it. Nevertheless, I think there can be a place for the judicious use of books when working with children in need, and so I applaud St Luke’s Anglicare for its initiative in publishing Rosy and Jack, written and illustrated by Nicole Reading. The book begins: ‘Rosy and Jack were scared. Someone was touching them in ways they did not like.’ This book is purpose-written and illustrated to work with child sexual assault victims. It is designed to encourage conversations about trust, “bad secrets”, expressing all one’s emotions, and healing. The language is straightforward and the illustrations—deliberately childish—encourage recognition and a sense of safety. As such, it seems to me that Rosy and Jack will be an extremely useful tool. It’s in many ways a guide for children as to what to do about disclosing abuse, and how to deal with their feelings afterwards. I’m not sure it’s a book that I’d give out willy nilly to children, but on the other hand, should a child be suffering in silence and come across this book in their school library, it may make all the difference to them. It’s not literature, in the way a Margaret Wild book always is, and it’s certainly not a light-hearted romp, but Rosy and Jack has its own important place to fill. Shaunagh O’Connor, ‘Rosy and Jack, Herald Sun, 10 July 2004. For the kids. A story many parents and those who care for children will appreciate. Someone who lives at Rosy and Jack’s house—a character who remains rightly anonymous—has been inappropriately touching the two young children, leaving them frightened and confused. The sexual abuse is wonderfully handled in this colourful picture book, which tells children that their bodies belong to them alone and that abuse is never their fault. This book serves as prevention and a way to help ease the pain of abuse. Susan Murrant, ‘Review: Rosy and Jack,’ Narrative Network News, Issue 30, July/August 2004. At last an honest book for children (and adults) that deals with the complexity of childhood sexual assault and dares to name this offence for what it is! The book initially presents as somewhat complex for young children. However used in a supportive therapeutic or educational context, it offers significant depth for children and families grappling with sexual assault. The concepts of secrecy, ‘acting out’ behaviours and options of ‘safe’ people are cleverly articulated, and provide a range of options for children and their parents to consider. Also explained is the counselling process, and different reactions to talking with a counsellor about sexual abuse. Of particular use are the areas of feelings, particularly in relation to the body. This is excellently illustrated with a wide range of facial expressions and physical features of places where the body may be impacted by feeling unsafe. I see this section also having use in assisting adults who have experienced childhood sexual assault to make sense of their feelings, and understand how their body’s reactions indicate their emotions. The area of protective behaviours is also covered, that is, how ongoing issues about sexual assault can be managed in a child-appropriate way. This includes a list of ‘safe’ people to talk to about secrets. The acknowledgment of a range of people including the family doctor or teacher in supporting children’s bravery is encouraging in terms of repositioning the secrecy element of sexual abuse. My only question for this book and future writers in this area is: How can we include Dads/male figures as support people in instances of childhood sexual assault? While it is acknowledged that the majority of sexual assault is carried out by men, it is possible that by the inclusive support and involvement of men in talking about this issue that the dominant story of males as sexual offenders might be changed. Interestingly, the book is cleverly gender neutral in its description of the sexual offender of Rosy and Jack. This provides an opportunity for children (and adults) who have been abused by a female to relate to the story as well. The inclusion of the male child’s experience of sexual assault also goes some way to addressing the complexity of the shame of this crime. This addresses some of the male issues, allowing it to be overtly stated that male children are also sexualy assaulted. One area not fully explored in Rosy and Jack is the forensic experience. In addition the perpetrator is ambiguously sent away. This leaves a range of options to discuss when working with children. This is a strength, but also a limitation for children going through a difficult legal experience or whose case has been rejected by the courts. Inclusion of the importance of the child’s experience still being valid despite the legal decision could have enhanced this book. Overall this is a brave, exciting and well-researched book, which has great potential in the therapeutic, educative and family settings. In the interest of promoting competency-based practice and wisdom, I have awarded this the St Luke’s strength card COURAGE. For those not in the know, Strength Cards are tools developed by Innovative Resources around assisting people to develop strengths and competencies. I thought these would be a fun way of giving readers a quick flavour of the book under review—and a more Narrative approach than a star system! Steve Holden, Book review, Teacher: The National Education Magazine, December 2004, p. 58. Artist Nicole Reading began thinking about this book when a friend who worked in child protective services visited her studio one time while she was working on some puppets. They got talking about the need for creative tools to use when working with children who have been sexually assaulted, not just the boy doll and girl doll, but figures with faces that showed emotion, faces that could be changed. 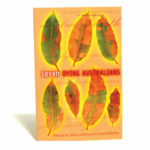 Later, Reading worked at Laurel House, a sexual assault support service in northern Tasmania, with survivors of sexual assault, benefiting from their input into the development of this book. The experience shows. A very simple text is beautifully illustrated in a way that emphasises emotion, particularly in the impressive first double-page spreads – ‘Rosy and Jack were scared’ and ‘Someone was touching them in ways they did not like. Given the fact that many children feel confused, guilty and frightened – and reluctant to disclose – because of sexual assault, these pages show a highly intelligent approach that’s aimed at helping abused children and supportive adult readers begin to unpack some emotional burdens. Sexual abuse is a topic few mainstream publishers seem inclined to touch, despite the steady stream of instances of abuse before and after Operation Auzin. 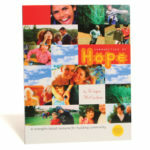 It’s good to see Innovative Resources, the publishing arm of St Luke’s Anglicare, take it on. Judy Flanagan, Manager, Centre Against Sexual Assault (CASA) for the Loddon Campaspe Region, Bendigo, Victoria. Rosy and Jack by Nicole Reading is a welcomed ‘child-friendly’ resource which helps to break down the secrecy surrounding child sexual assault. Through the use of simple text and engaging illustrations, this picture storybook enables children who have been victimised to relate their own experiences to those of Rosy and Jack. Through the characters of Rosy and Jack the thoughts and feelings commonly experienced by child victims of sexual assault are normalised. Children are also provided with the language to describe how they might be feeling. There are many important messages for child victims-about how hard it is to tell, about liking the person who offended (but not the touching), about rights, and about sexual assault not being a child’s fault-which are reinforced through the story. Through Rosy and Jack children can learn strategies which they may model to deal with the impact. Examples are the use of ‘body signals’ to tell children when they are feeling unsafe, having a network of trusted adults to whom a child can go to talk, and how to express feelings like anger in a safe way. The importance of ensuring safety in the child’s world is reinforced. The portrayal of Emma (the counsellor) as someone who is accessible and ‘real’ demystifies the role of a counsellor. This is a resource which counsellors working with child victims of sexual assault can use effectively in their work. ‘I recently went on a retreat as part of the Child Sexual Assault Protection Program. Some of the kids were victims of sexual abuse while others were at high risk. The girls who had suffered abuse were really affirmed by the books and the positive messages of self-esteem and staying safe. They wanted to thank the authors for writing the books.